This week marks the 52nd consecutive week that I've posted an original song. Time really does fly. I mean the year has flown by fast enough but in preparing the songs for publishing to this site required revisiting songs that I originally recorded in every decade from the seventies forward. Now that period of time has passed by like a flash. I'll continue posting my music until I run out and then I'll write more. Thank You for visiting the site and for the encouragement I've gotten from your comments and Likes. Well, I've been posting one of my original songs to Facebook every Sunday for the past 26 weeks. My plan is to eventually post every song I've written or co-written first and then every song I've sung on for other people and lastly cover songs. I'm halfway through the first year and it will be at least a year from now before I finish phase 1. Thank you for listening, liking, sharing and commenting. Hard to believe it's been 14 years since the 9-11 attack. In the weeks that followed I dealt with the emotions I felt by trying to express it thru music. On my songs page you'll find a link to "Till the End". I remember sitting at the piano and this song just poured out of me. I had heard the reports of people in the towers and on the plane that went down in Pennsylvania calling their loved ones to say goodbye. I heard of the heroic actions of the first responders and the firemen who rode the buildings down when they collapsed. I tried to see this tragedy from the perspective of those who died and their loved ones. I never tried to promote the song in any way. It was just my way of dealing with what I was feeling at the time. I hope we never forget the events of that day and how it brought us together as Americans once again. OK, I give in...This is my first responsive, mobile friendly site attempt. I hope you find it easier to view on your hand held devices but still enjoyable for those of us who enjoy surfing "Old School" on a computer! 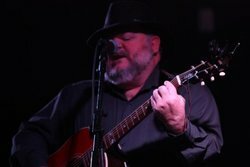 This website contains original music and songs written or co-written by me over my lifetime. I hope you enjoy the songs and the experience.